This evening I attended a meeting with some of the girls (and a guy) that I grew up with. We met to plan out a fund raising event in honor of a friend, back home, who has battled cancer for the past couple of years. We sat in the room to discuss the execution of our Plate Lunch Sale. The brother of our friend was in attendance and gave us an update of her health. He said that the doctor said that she would only live for possibly another three weeks and that was two weeks ago. Before I left Hawai'i, I did get a chance to see her. I even sang for her during one of her stays in the hospital. Her sweet spirit filled the room and her gigantic smile -- infectious. I thought about that time while her brother updated us and I could not fight back the tears. He said that his parents are still trying to come to terms with her dying so young yet she has made peace with it. What's sadder is that he has another sister that is in remission from the same cancer. I really do come from a special place. Even though we're here in Utah, we are ever so mindful of our "sisters" back home. We are sticking together as we have in the past. I feel so fortunate to know that the friendship bonds we created so long ago, even if the only connection is that we're from the same strip of land on the North Shore of O'ahu, binds us together today. I can still here the tune in my head. It reminds me of the special place that I come from and all the special bonds that were created in high school; in elementary; in LIFE. No matter where I am in this world, I know that I am not just a face where I come from. People there know me. They know my accomplishments. They know my family. They know which part of the cemetery my family is buried. I am not a number in the crowd there. That's where I'm from. That's where I'd like to move back to one day soon. Another tribute to Tasha and her battle with cancer, created by women from the same strip of land on the North Shore of O'ahu.... and that's where I'm from! Thanks for the update on tasha, I was thinking about her last week. While ive been here in hawaii, i have totally taken this place for granted, and as time gets clser to me leaving, i have become so much more greateful for the time ive spent here! that's so awesome. i love tasha. i love her family. and as much as i always wish we could just move away for a little bit and try something/someplace new, this will always be my home, and this people will always be my people. grateful to still keep in touch via FB and the blog...i love most things about utah, i hope you find something to love too! 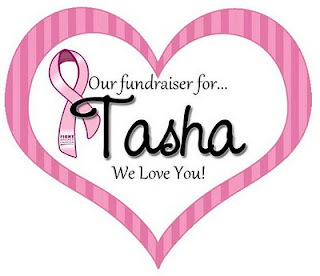 i have never met tasha, but i am so humbled by her story, and all the people who come together to fight with her. i teared up reading this. as the only girl in my family, it was on that small strip of the north shore that that i found my sisters!! a bond i still share w/them today. i'm in awe of all that u folks do for her life. i, too, love that country home and the wonderful things done by those who leave it. prayers for tasha and family..